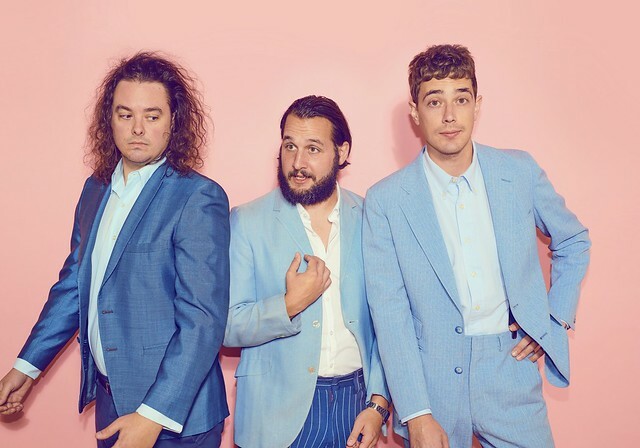 The first time I saw Born Ruffians, they shared a bill with fellow Canadians Tokyo Police Club at the Black Cat in 2009, and the bands performed a messy, spirited rendition of “Train in Vain” by The Clash together — it was terrific! Their 2015 show at Rock and Roll Hotel was one of my Top 10 Shows of the Year. Uncle, Duke & The Chief, the new record, fully embraces old-school rock ‘n roll aesthetics with handclaps, tambourines, and drumbeats. Born Ruffians deal with several themes with Uncle, Duke & The Chief, but death maintains a continuing presence on the record. Luke’s father faced a cancer scare while the band were writing the album. But then on Jan. 10, 2016, David Bowie passed away. With the death of a hero, Luke had a revelation. Luke sat down to write “Forget Me” on the day Bowie died, and he wrote “Spread So Thin” as a reaction to his father’s face-off with death. But as Luke said, the band is in the mood to celebrate life and their reunion with their drummer. Celebrate with them! Buy your tickets online.